Our simple to use yet advanced Content Management System gives you the power to add & edit all the content of your own website 24 / 7 / 365, with no ongoing costs other than the initial set up. No technical training required ! A 'Content Management System' or CMS website allows you to manage all the content within your website, without technical training. 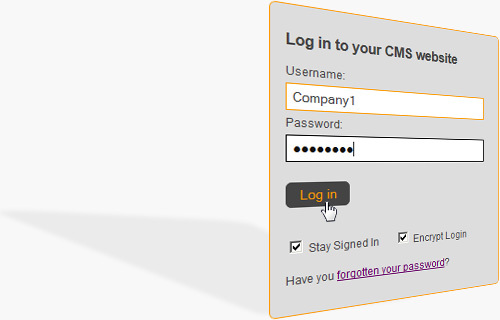 Many CMS websites on the market are too complex to use meaning you may still need an IT person to use it! Our advanced CMS not only has all the features and functionality you will need, but is a system that is very easy and intuitive to use! With our uncomplicated system you can very easily add or remove pages (no limit), add or delete images (you can also resize and/or crop images), plus edit all text throughout your website, plus so much more! You can have an unlimited number of pages and a full site-search engine. What's more, you can have a highly professional CMS website at a very reasonable price! We can dramatically improve the flexibility of your website and your ability to change and update content quickly. This means your website will be kept fresh and current which will please visitors to your site but also the search engines! Update all content: images, pictures, text and other information with ease. Complete control of search engine parameters, e.g. unique page titles, descriptions, keywords, etc.